As far as stocking-bound lumps of coal go, Sort of Coal’s binchotan (that’s Japanese for “white coal”) bracelet is more nice than naughty, even if you don’t buy into the New Agey hokum that some folks are touting. The blackened beads, which cut a classic, chic figure, are derived from sustainably harvested branches from the mountaintops of Japan and Korea, which are then smoked in traditional kilns using high temperatures and limited oxygen. Manufacturing white coal, according to co-founder Pernille Lembcke, traps the wood’s carbon content, which would otherwise be released as carbon dioxide during decomposition or fuel production. But white charcoal is also believed to offer a raft of health-bolstering perks, from generating feel-good negative ions to warding off electromagnetic waves from your cellphone. Maybe it’s time to dash off a nasty letter to a certain jolly old elf. 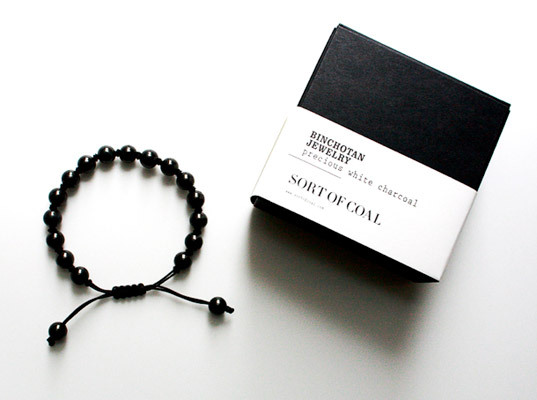 As far as stocking-bound lumps of coal go, Sort of Coal's binchotan (that's Japanese for "white coal") bracelet is more nice than naughty, even if you don't buy into the New Agey hokum that some folks are touting. 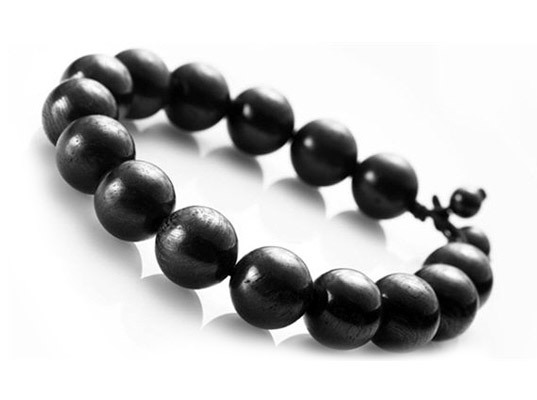 The blackened beads, which cut a classic, chic figure, are derived from sustainably harvested branches from the mountaintops of Japan and Korea, which are then smoked in traditional kilns using high temperatures and limited oxygen.